Back in 2015, Ori and the Blind Forest was first released on XB1 and PC, as Moon Games‘ debut title. Now that Metroidvanias are recently on a boom again, with games such as Hollow Knight and The Mummy: Demastered, the latter of which we reviewed just recently, we decided to take a look on one of the more well-known representatives to find out if the game still holds up to its value. 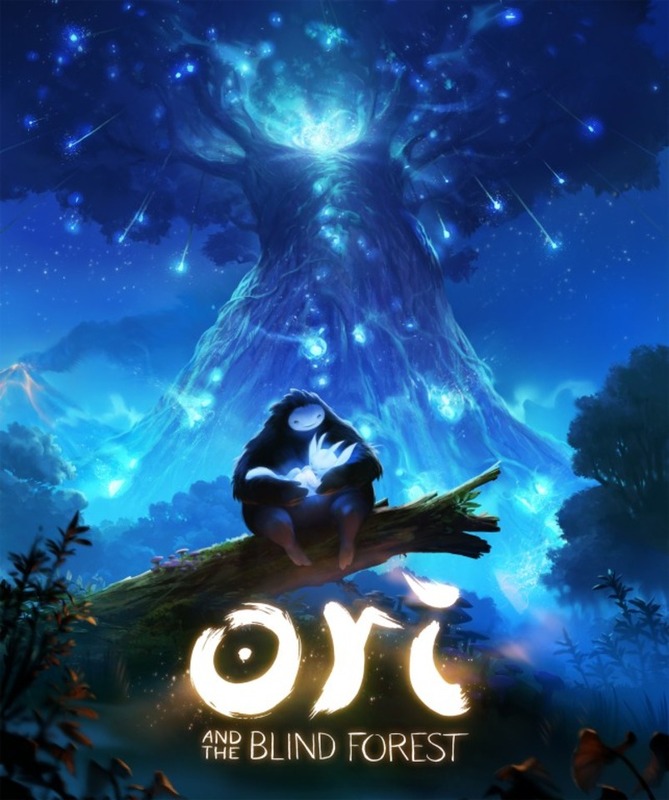 It should be mentioned that a Definitive Edition of Ori and the Blind Forest was put out exactly one year after the original XB1 release, which delivered additional content as well as some tweaks that tried to fix some shortcomings pointed out by the original’s playerbase. While we will be mentioning those in this review, we will focus on valuing only the Definitive Edition as it is basically a straight upgrade while being at the exact same price point. 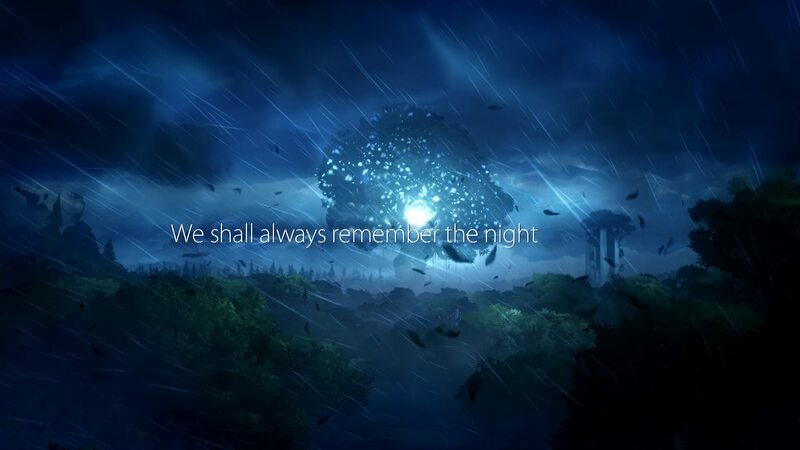 Upon starting a new game of Ori and the Blind Forest, the player is immediately greeted by a particularly stormy cutscene in which the titular light spririt is blown away, thus seperated, from the forest-guarding entity called the Spirit Tree. 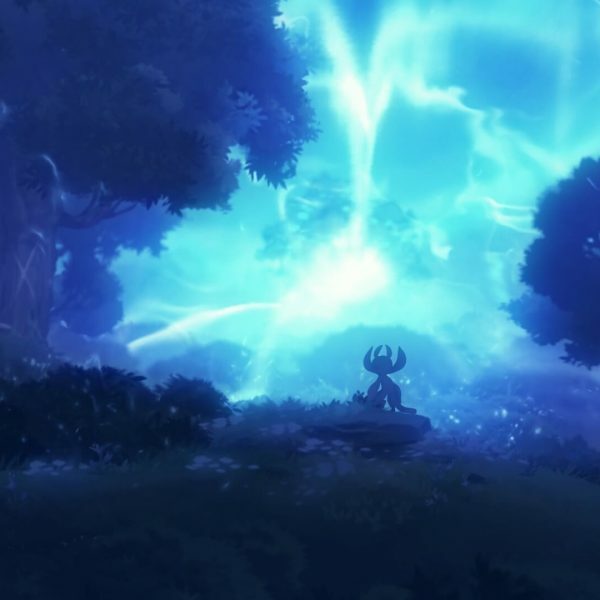 Setting the tone for the rest of the game, the cutscene shows a dance of light in the darkness. Noticably, this opening cutscene is one of the most verbal in the entire game, out of sheer necessity to introduce the basic plot points. 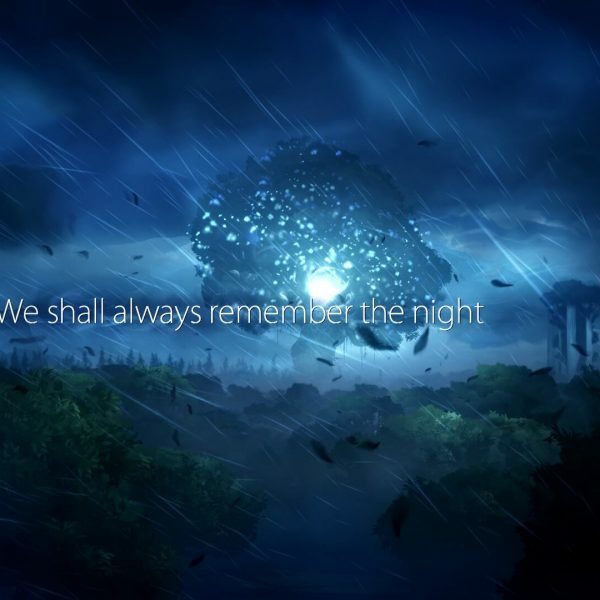 Most of the time, the narration of the Sprit ree is being held relatively cryptic, and instead it‘s left up to the player to connect the dots. As mentioned before, Ori and the Blind Forest is a Metroidvania, meaning you get to explore an environment devoid of any civilization, whose areas are mostly unreachable early on, but are unlocked upon gaining certain abilities throughout the game. Additionally, you can find upgrades to both your health meter (represented by Life Cells) and energy meter, which is needed for casting both an explosive AOE attack and the game‘s save feature – more of that below. Ori starts out as a very weak spirit, barely able to take one hit from the forest’s many dangers while not even being able to fight back. This makes the forest of Nibel a very dangerous place. From death lasers to razor-sharp spikes to falling stone traps, there is a lot to watch out for. In turn, Ori is by far more nimble than most enemy creatures. An extremely skilled player might run through the game dancing around any would-be-threats using the many movement options given to you as you go on. Additionally, you can upgrade the skills of your gender-ambigous hero using collected spirit essence, which could be compared to experience points in other games, giving you even more powers. 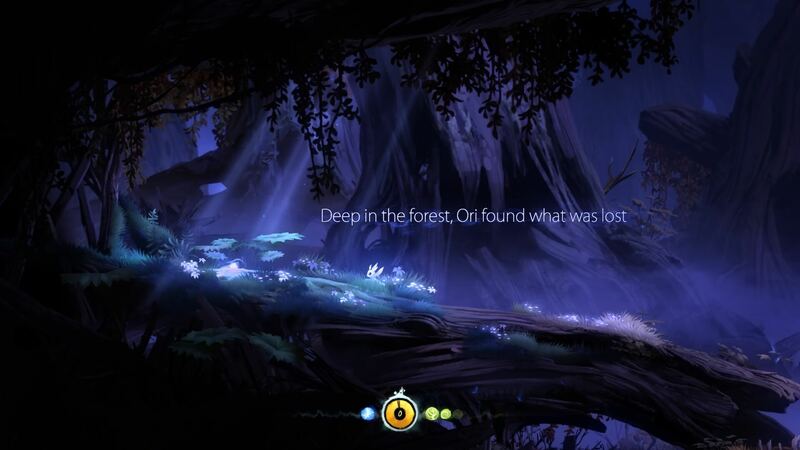 It should be mentioned that in the original Ori, some areas were locked from backtracking, denying you 100% completion should you have left something back there. Also, the genre standard of warp points was not implemented either. Both of this changed, however, in the Definitive Edition. The ability tree. You can choose between utility, efficiency and combat. 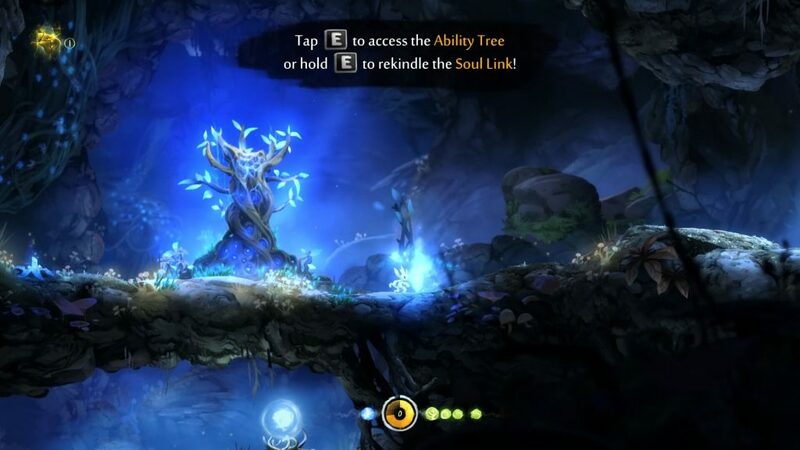 Assuming most people are going to start out as everything else but extremely skilled, the developers introduced an interesting way to handle frustration: the Soul Link. As an optional save feature, allowing you to save whenever and wherever you want for the cost of some energy, you can decide yourself where to place your checkpoint instead of letting the game decide for you. The fact that it costs energy though, demands that you think carefully exactly when to use it, especially since you also need it if you want to use your powerful burst attack and to unlock certain passages. There are some dangerous areas and even whole sequences in the game which disallow the use of Soul Link. Other than those, though, you can save before any ominous looking spot you want, drastically reducing potential frustration you would have if checkpoints were too sparse. It‘s a simple, yet incredible effective way to balance difficulty. Speaking of which, the Definitive Edition introduced several difficulty modes, including an Easy mode for players who would like to focus more on the story rather than gameplay. A soul link. 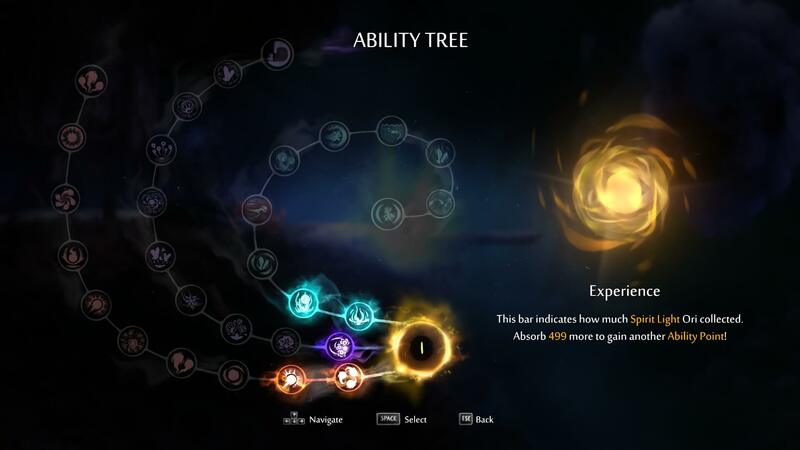 The ability tree can be accessed by pressing E.
What‘s more, if you need an even bigger challenge, you could try to complete any of the three extreme achievements, which require you to beat the game within 3 hours, without dying or without spending skill points respectively. There’s also Hard Mode and One Life Mode in the Definitive Edition, which should be pretty self-explanatory. A somewhat nit-picky, but nonetheless annoying issue we had with the game though, was when too many enemies were around, it could happen that the screen quickly filled with particle effects from enemy attacks and deaths, shrouding potentially deadly projectiles from our view. This mostly happened when fighting several monsters with explosive attacks, of which there are several spots later in the game. 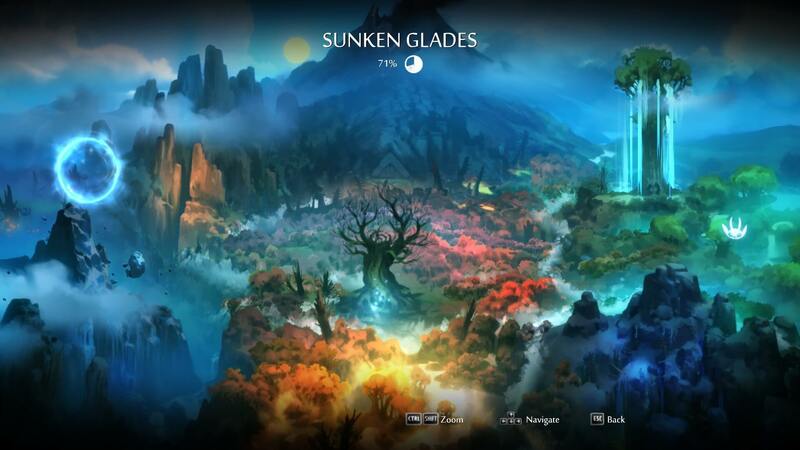 One of the biggest selling points of the game is probably its completely hand-drawn game world. Everything from a tiny root up to massive trees blocking your way is completely unique – no tile sets or pre-rendered objects were used. While, of course, this somewhat limits the game world‘s size due to the sheer effort it demands, it really makes up for it with the beautiful and vivid result. We also feel like this kind of art style is somewhat timeless, as it‘s not trying to be as realistic as possible. Fun Fact: Ori was flattened from a 3D model to a sprite, after animating them in 3D, because it was easier than just spriting every single frame. Due to the game’s light and darkness theme, a reoccurring theme of the game is how they are constantly at odds with one another. It even plays a role in the game‘s storyline. The light spirits, of course, are fulfilling the Yang part, while most of the forest’s monsters, and the game‘s main antagonist, are representing the Yin. The soundtrack of the game also fits this theme. There are a lot of serene, ambient tracks that go wonderfully with the cutscenes and game areas respectively. Especially worth mentioning is how fluently the musical background, as well as sound effects, go with whatever is currently happening on screen. Finding a secret plays an ever so subtle yet satisfying „revealed“ sound, and diving in water turns it to be more distant and stifled, as if hearing it from below the water. This kind of fluent sound design makes the experience all the more immersive and compelling. A map of Nibel, showing completion rate. Summarizing, we find that these two aspects are probably where this game shines the most, as it feels like a lot of love was put into every single detail, be it visually or auditory. It‘s what compels people to consider this game a work of art rather than just a video game. All in all, we find the debut title of the up-and-coming Moon Studios to be a very promising one. The challenging Metroidvania gameplay is well-accompanied by a beautiful hand-drawn world and rousing soundtrack that really immerse you into the game world. The gameplay is fast-paced and unforgiving, but also rewarding. Because of these reasons, we decided it deserves a score no less than 91. Due to the short length of the game, however, you might already be done with it after just 8 ½ hours (see Storyline), if you‘re averagely skilled and just do the main storyline. However, the additional difficulty levels and hard-core achievements allow for some replayability. Because of this, and considering the overall quality of the game, we value it as 18$. Of course, it being 1 ½ years old already, you should be able to find it for less than that. 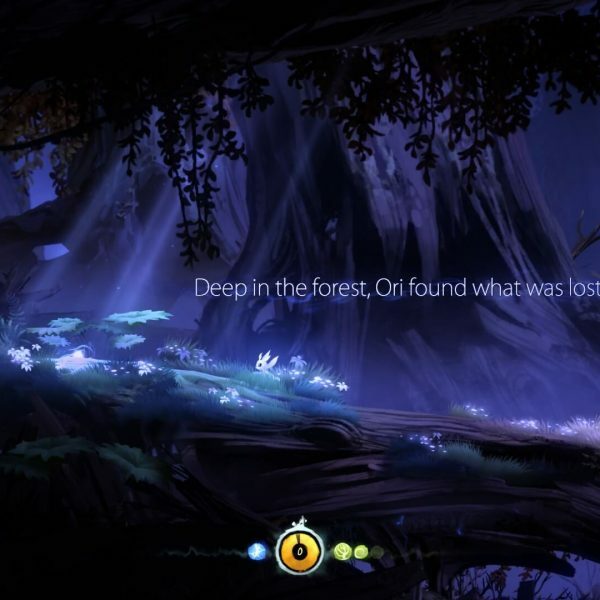 For people who like emotionally heavy games, and are on the lookout for a very heartwarming, feel-good game, we wholeheartedly recommend Ori and the Blind Forest without a second thought. However, you might not enjoy it as much if you dislike melancholy or prefer less emotionally intense games. Either way, if you‘re a Metroidvania fan, you should definitely give it a try. 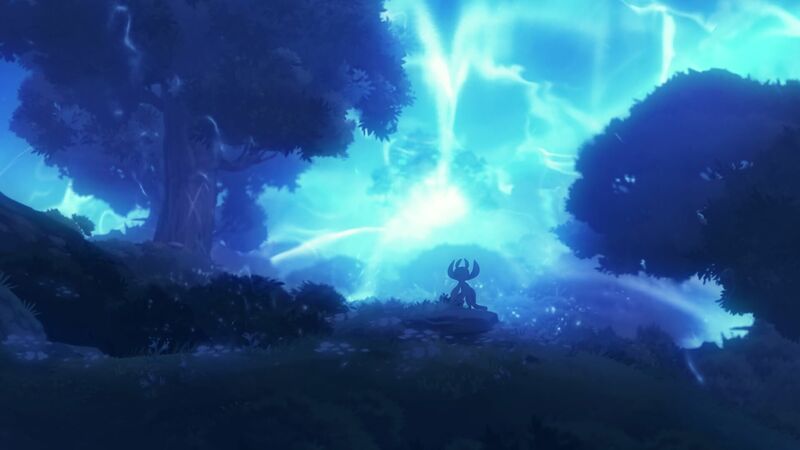 Moon Games Studios' debut title Ori and the Blind Forest is a very promising one.The challenging Metroidvania gameplay is well-accompanied by a beautiful hand-drawn world and rousing soundtrack that really immerse you into the game world.